So, are you wanting to buy a Nintendo 3DS when it hits store shelves but don't want to drop $249.99? Will you also have an older DS system that will get no love once you buy a 3DS? Well, you're in luck. Now until April 3, 2011, GameStop is promoting a 3DS Trade Up Offer. When you trade your old DS system you will receive a credit towards a new 3DS. 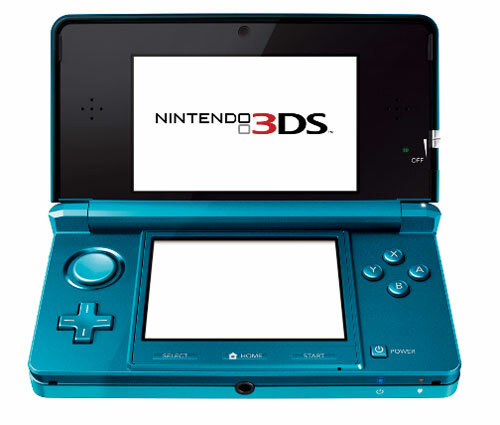 If you trade in your DSi XL you will receive a $100 credit towrds a 3DS. If you have a DSi your trade in value will be worth $75. Finally, if you're like the majority and have a DS Lite, you will receive a $50 credit. So, instead of spending the full amount and keeping your old DS system, you might as well head down to your local GameStop and reserve a 3DS while saving some dough. Check out the full details to GameStop's 3DS Trade Up Offer here.